If you regularly read this blog (I guess that is something boring, because I don't regularly upgrade it...), you have noticed that I have changed, once again, the layout of the page. Well, this time is quite a definitive change, I like it now, finally. It is clear and neat. Please, allow me a few days to make all work properly!. 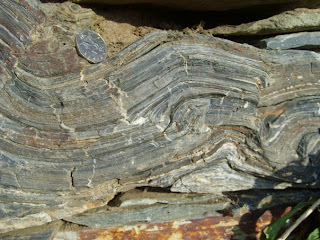 I have thought that it would be interesting to put in the right side bar some videos from time to time related with structural geology. I will start this series of videos with an interview with Dr. Randy Merrett, associate professor in the Department of Geological Sciences at the University of Texas. Dr. Marrett's research concentrates on deformation processes in the upper continental crust where folds, faults, and opening-mode fractures are the most important products. This work is applicable to a wide range of human concerns such as natural hazards (e.g., earthquakes, volcanoes) and the flow of fluids through rock (e.g., hydrocarbons, water, contaminants). Some common themes that relate his disparate interests are quantitative field observations and analysis, especially using techniques that address spatial and size scaling of structures. Dr. Marrett currently has on-going projects that address active faulting and geyser eruption patterns in the Central Andes of Argentina and Chile, detachment folding and curved orogenic belt development in the Sierra Madre Oriental of Mexico, and opening-mode fracturing in numerous areas. Quite basic, but always useful for forwarding it to people who want to know more about what we do. That is probably a big step for Lithotect, a great piece of software. Now, being part of such a huge company like Halliburton, surely the rivarly with MVE's Move (formerly know by its different components: 2DMove and 3DMove) will tight up, and this will be clearly in benefit of the customers. 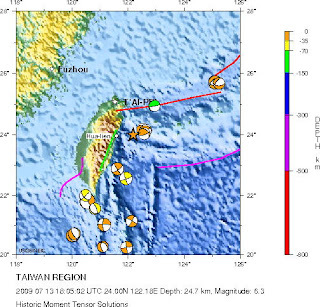 If you have been listening to the news in the last hours, you probably know already that a M6.3 earthquake has struck offshore Taiwan. As usual, the best information comes from the USGS. The event happend at 18.05 UTC, and we don't yet have a focal mechanism solution for it. Anyway, in the attached figure you can have an idea of what is going on in there. Taiwan is located in the boundary between the Phillipine Sea and the Eurasian plates. There is an approximated convergence rate of 80 mm/yr to the SE. What is really especial about this island is the presence of two subduction zones: One, where the South China Sea subducts beneath Eurasia, and another one, where Eurasia subducts beneath the South China Sea, forming both zones approximately a right angle. 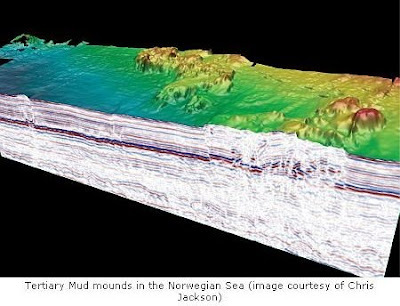 Dr. Alan Gibbs, director of Midland Valley Exploration, has announced in the Geo-Tectonics list that their software Move2009 (which includes 2DMove, 3DMove and 4DMove) is now available for free to universities for teaching and research. Move2009, as described by MVE, is “fundamentally different from other geo-modelling and model building software as it incorporates geological time into the modelling process. Other modelling tools simply create good-looking models from the present day interpretations, ours turn the modelling process into a rigorous analytical activity involving geological time, with interoperability support of modelling environments and the ability to easily transfer files between all Move components. 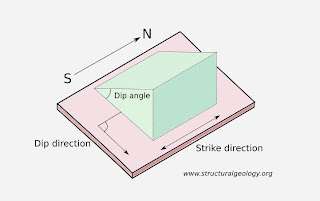 Using our products geoscientists can continually challenge and test their assumptions and thereby gain a far deeper understanding into the structural geology they are modelling”. Is that the only geo-modelling software available for building and balancing cross sections and general structural modelling? No. In the same list, Dr. Robert Ratliff, development director of Geo-Logic Systems, reminds that their software LithoTect is also available for free for universities (as it has been for many years). 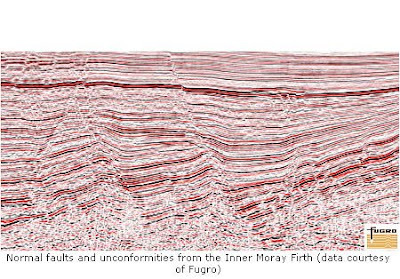 This software combines the power of geological modelling with a very attractive conditions in terms of available platforms and licensing conditions. Well, the choice is in your hands. Perhaps you want to make a comment comparing both suites? A good habit I have acquired during the last months is to take a look to the recent seismic activity of a region before starting to work in there, in order to get a quick idea of what is going on. This habit can be more illustrating that it initially seems. USGS provides a KMZ file with a very friendly and attractive interface for Google Earth. It loads the major earthquakes in our planet for the last 7 days, classified by time (Last hour, Last day, Last week), and by magnitude (from 1 to 8). 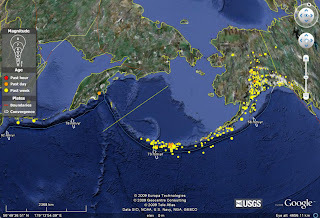 If you click on each individual earthquake, you will open a box with its basic information and the url link for opening in your browser the complete information about it. Of course, don't expect a very precise location for the plate boundaries! It is just an indication of the global tectonics of each area, in order to put the earthquakes in a correct geodynamic context. Personally I find this KML file very useful, not only for the very up-to-the-date information given, but also for the boundaries, the rates... Useful thing when we have to prepare a simple figure in Corel or Freehand for a report. There are more KML's and KMZ's providing similar information, but that will be for another day. - Lambert equal area projection (Schmidt net). - Polar equal area projection. - Equal angle projection (Wulff net). A simple but very useful document, as we can have in a single pdf all the basic diagrams we can need in the field. Now print it and start to plot data! We got up this morning with the terrible news from Italy, where last night an earthquake affected significantly the location of L’Aquila in the Central Apennines region resulting in more than 90 killed (so far, at 14.00 GMT, and surely the number will increase in the next hours). The Apennines are an accretionary wedge formed as consequence of the subduction of the Adriatic microplates under Italy from east to west, whilst from the south to the north the convergence of Africa against Europe builds the Alpine orogen and opening the Tyrrhenian sea to the west of the Italic peninsula. Sadly an Italian geophysicist predicted the event –kind of–. We cannot rely on predictions. We cannot expect –yet– to trust correlations between indirect measurements and seismic phenomena. What we can do? What we can do as geologist is help the authorities educating people, promoting the knowledge of geohazards and how to behave in the case of an Earthquake. Authorities have in their hands the power of approve correct standards for construction. A 6.3 earthquake shouldn’t have caused any fatality in a rich country like Italy. Why it has been like that? Seismicity in the Central Apennines is not new. Historic earthquakes include the one of 1997 (Mw 6.0) which includen in a period of 2 months several M5.0 events (the Umbria-Marche seimic sequence). Our support to the people in despair for this earthquake.